For complete and detailed forum rules, please read here. You will be held accountable to these even if you have not read them. 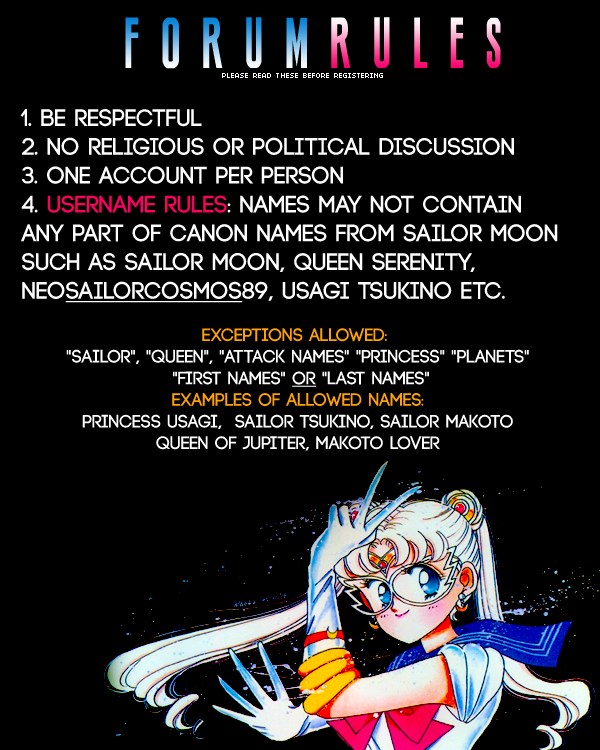 "Sailor", "Queen", "attack names" "princess" "planets"
"first names" OR "last names"
If you register with one of these unallowed names, an administrator will email you before you can finished joining.